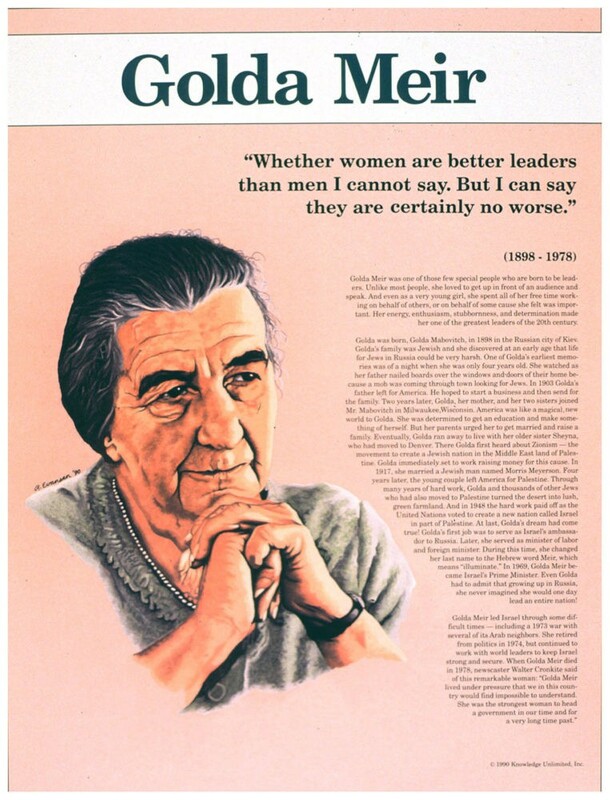 This educational poster features a striking image of Golda Meir, along with biographical text, and a quote from her saying: "Whether women are better leaders than men I cannot say. But I can say they are certainly no worse." 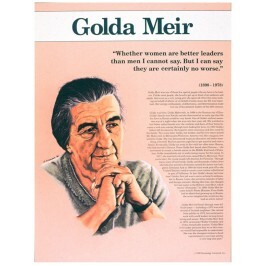 Golda Meir was born in Russia, grew up in Milwaukee, and one day became the first woman prime minister of Israel. This poster is a great way to introduce students to one of the most powerful women of the 20th century.